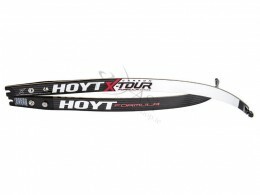 Hoyt’s proven Syntactic Foam/ Carbon limbs for smoothness and accuracy. High performance carbon layers for dynamic limb straightness and precision limb tracking for the straightest shot. Bamboo and Grand Prix (ILF) options also available. See related products below.